Register to receive essential products that will be helpful to live day-to-day life of the people with disabilities. Volunteers play a key role in the success of every events conducted by LOVE AND ACCEPANCE. If you want to volunteer and join our team, get in touch with us. 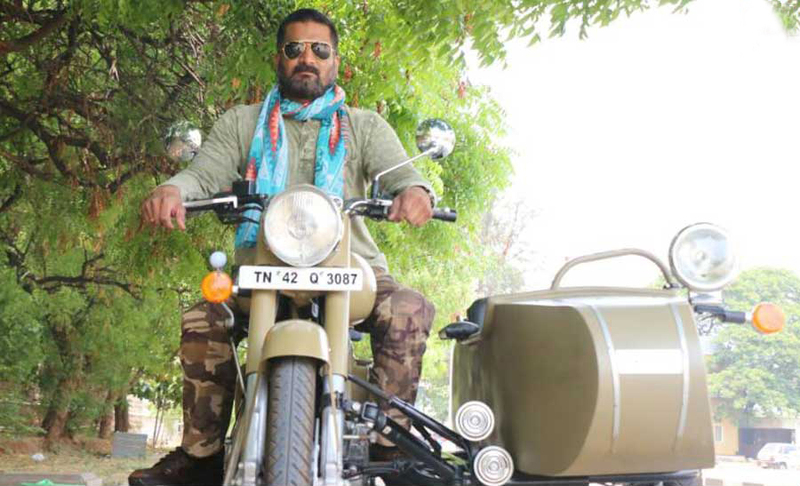 'Will power knows No Obstacles' it's just not a quote but a reflection of myself says Lalith Natarajan, a 37-year-old Coimbatorean affected with Transverse myelitis, a rare neurological condition and a passionate biker. Lalith Natarajan, in conversation with SimpliCity, tells us of his heart-breaking encounter with Traverse Myelitis, the inspirational Kanyakumari to Kashmir ride and much more. “I was just like any other kid until the age of 11, but life had something different in store for me. It all started with a sense of numbness in my legs. This was later diagnosed to be Traverse Myelitis, which is a disability caused by the inflammation of the Spinal cord. It affects the motor control abilities. Ever since, I have been on a wheelchair. After this shocking diagnosis everything changed. I had to drop out of school. I was home schooled. I completed my BBA from Annamalai University and did my MBA and M.Phil through correspondence. Later, I took up a job with the Royal Bank of Scotland but had to quit due to an economic slowdown. I returned to Tirupur in 2011 and started an HR consultancy firm as well as an NGO; Love and Acceptance. This is an NGO that serves people with disabilities” said Lalith. Through all of this biking was always of paramount importance to Lalith and so he decided to take a road trip from Kanyakumari to Kashmir to spread the message of social inclusion of the differently abled as well as road safety. In the beginning he contacted Royal Enfield with his idea of the K2K ride as he was in need of a retrofitted bike. It took 6 months in order to ready the bike; nonetheless it was worth the wait. The ride is to be kick-started at Kanyakumari in the month of June. major role in the designing of the bike, will be accompanying Lalith on this trip. They will be spearheaded by Major Venugopal and his son Vishal Venugopal. The route map is now ready and they are expected to cover 4000kms in 20 days. According to Lalith, this road trip is no cakewalk. There will be many hurdles throughout the journey. However, Lalith and his team are physically and mentally prepared with strength and determination to deal with these obstacles. The message they want to give out is that of equality. The handicapped are as much a part of the society as anybody else and they should be provided with equal opportunities to contribute. Lalith and his team also plan on meeting the Chief Ministers of the respective states along the journey in order to discuss setting up of Multi Disability Rehabilitation and Support System Centers across all district headquarters. These centers will cater to the needs of the differently abled and make them capable of fighting their own battles. Love and Acceptance will also be providing a package which includes a commode chair, a wheel chair and a urinary catheter to the needy. On being asked what changes he wants to see in the society, Lalith replies, “Acceptance, inclusion and accessibility. Acceptance begins at home. My family had a hard time accepting that I will never walk again, but once they came in terms with my condition they have been a constant source of support. Lalith and team are in look out for sponsors and Samaritans who are willing to support them in their noble cause. People interested in lending a helping hand can contact Lalith at 9894840914. Simplicity wishes Lalith and team a safe journey, and hope to see them make a difference.